| [MMM] Athletes have pre game rituals. Here is why they matter…What's yours? Home > Blog	> [MMM] Athletes have pre game rituals. Here is why they matter…What's yours? [MMM] Athletes have pre game rituals. Here is why they matter…What's yours? Have you finished your Monday morning routine? Snooze button 3 times – Check. Roll out of bed – Check. Read The Monday Morning Motivator while taking the dog for walk – Check. Workout & shower – Check. Choose & put on wardrobe – Check. Coffee & snack – Check. I was struck this weekend while attending my daughters swim meet that we all have routines to get prepared for events. 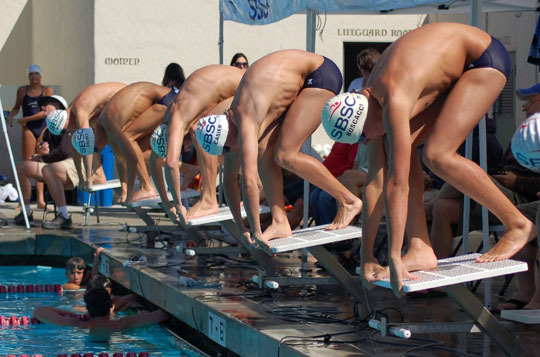 Every swimmer had their own system before getting onto the starting block. Some jumped, some swung their arms like windmills on the deck, some slapped their legs, while others staired intently at the water with their head down. What is your “get ready for the podium routine?” World class athletes have world class routines. Pre-game rituals professional athletes can be as simple as putting a hockey stick in the toilet & for John Henderson of the Oakland Raiders, it involves this. According to the Australian Sports Federation, pre-game rituals have 3 benefits. 1. Get ‘in the zone. The main purpose of a mental routine is to get you into the right mindset. 2. Increase your confidence & control your mental energy. You feel more in control and rituals increases confidence. 3. Narrow your focus & create certainty. Technical cues such as, explode off the blocks, direct your attention towards the things you can control. What routines have you created to help you get mentally & technically prepared for an interview, speech or meeting with your boss or an important client? 1. Create & pay attention to what increases your energy & focus. 2. Practice & protect this routine before all specific events. 3. Tweak the routine from time to time, to optimize your performance. Want to explore this idea in a deeper way? I would recommend listing to this week’s podcast with Timothy Ferriss, author N.Y. Times best selling book The Four-Hour Work Week. CareerClass | Get the Right Career, Right Now! Invest 1 hour of your time to help identify the right work situation. Join me Thursday, Jan 19, 12-1 P.M. ET. This complimentary 1-hour workshop is based on my book, The Canadian Job Search Kit. Take control of your career, all from the comfort & convenience of your own desk. Limited to 50 participants. Click to register. Getting ready, along the road with you! P.S. Are you a U of T grad? Join our exclusive New Year, New Career webinar. Thursday Jan 19 12-1 & 8-9 PM. Let us help you take your career to a new level in 2012. Register here.